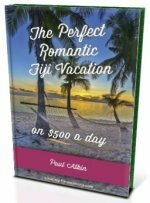 Fiji Climate - What's the climate like in Fiji? What's the Fiji climate going to be like for my upcoming holiday? Find that out and more. Follow the links to Fiji weather forecast predictors. Here is your climate in Fiji information which is in Celsius. If you want the same information but in Fahrenheit, visit our Climate in Fiji page. If you haven't already, start with our hub Fiji Weather page, as it's the starting point for all information regarding climate and weather in Fiji. You will find today's weather plus a 5-day Fiji weather forecast also. Climate, as compared to weather, is the study of weather patterns over a longer period of time. For the shorter term weather information, visit the hub Fiji weather page, and go from there. 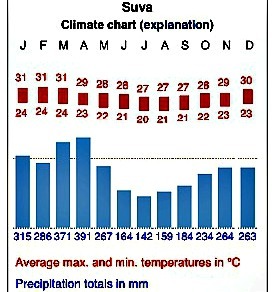 Below is the climate chart of Suva, the capital of Fiji. The climate in Fiji is classified as tropical marine and is warm most of the year round with minimal extremes. Rainfall is variable. The warmer season experiences heavier rainfall, especially inland. 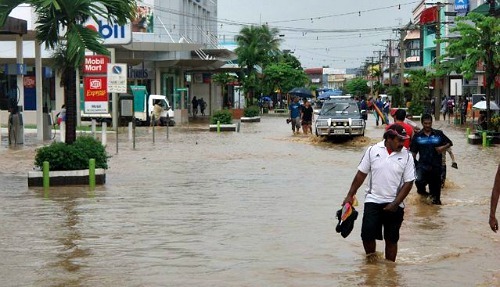 Suva attracts more rain than Nadi Fiji, your entrance point and the tourist hub of Fiji, and the gorgeous island groups of the Yasawas and the Mamanucas. Winds are moderate, although on average a cyclone occurs about once a year. During the 'Fijian winter' the temperature plummets down to 18°C in June/July. On the popular destination islands on the Yasawas and the Mamanucas, it usually gets all-the-way-down to a less cooler 22°C! It's safe to say, you won't be needing your ugg boots. In the summer it can get up to 31°C in December/January. Tanning and cooling down in the beautiful Pacific Ocean or resort pools are the order of the day here. From May to October, it is considered the 'cool-er season' and the 'dry season'. That means less humidity, milder temperatures, and lower rainfalls. It's a very pleasant time to visit. Consequently November to April, as stated, is the 'warm season' and the 'wet season'. So heavier rains fall during this time period. The island groups of Yasawa and Mamanuca are a drier option. This, however, is also the time when the odd tropical cyclone is most likely to venture through.